When I received this Chinese story about British boozing from our good friend Aeswiren, it confirmed an impression I had gleaned for myself on a recent visit to the old country. The Brits are facing down these hard times by drinking. 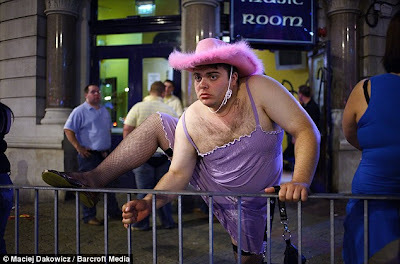 As I passed through Shepherds Bush Green on a warm Friday night, I could not recall ever seeing quite so many reeling lads and stumbling shrieking girls. I can’t quite imagine why the Chinese should be taking an interest, but, as those in power rumble about “doing something about it” it does validate a long held theory that the societies with the worst booze problems also have the most repressive liquor laws. LONDON, Jan. 2 – Heavy drinking is causing Britain as many health problems as it is costing the country too much money that could have been spent on genuine health care, according to studies by medical expert groups. One in six Britons drinks above sensible limits while one in 60 has a level of alcohol addiction and the so-called boozing culture costs Britain over 4 billion U.S. dollars a year. But these might be just the tip of an iceberg. 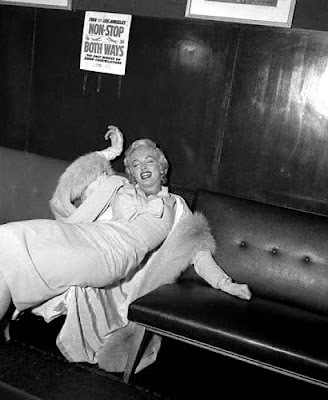 "In Britain, concerns over drunkenness go back a long way. The first Licensing Act, passed in 1552, required alehouse-keepers to acquire a license from local justices on the grounds that 'intolerable hurts and troubles' arose from drunkenness in 'common alehouses'. The following year rules were introduced strictly limiting the number of wine taverns that could open in any one town. This legislative distinction between common alehouses and more exclusive wine taverns reflected a long-standing social stratification of drinks in Britain. Lack of native viticulture made imported wine an elite drink, while ale, and later beer (made with hops, which were only widely used from the 15th century), were associated with more popular drinking cultures. 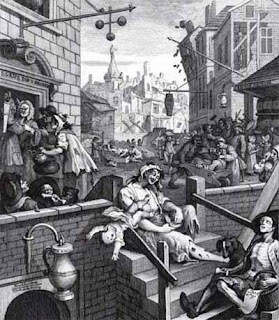 Until the late 17th century the social stratification of alcohol tended to be expressed in relation to courtly wine, urban beer and bucolic ale. The liberalization of the gin trade following the accession of William III [in the early 18th century] threw an entirely new substance into this mix. Partly designed to promote a domestic alternative to French brandy, deregulation contributed to a staggering rise in consumption and triggered impassioned debates on the role of the state in regulating this new and dangerous commodity. In 1736 it also produced a disastrous attempt at gin prohibition, which was repealed seven years later." I can only post this without comment. Here at Doc40 we always celebrate the birthday of Elvis Presley. Why? I have told it too many times to repeat how Elvis quite literally changed my life and ambitions. Other seminal cultural revolutionaries played their parts, but it was Elvis who initiated me into the strange and personal rock & roll insurrection that has continued to this very day, and shows no sign of abating even as antiquity catches up to me, and has taken me, at the very least, in my imagination, to the stars and beyond, and to secret places of sometimes bizarre revelation and the companionship or many other gilded rebels that made me know I was not alone in the gleeful, exalting madness. That, on it’s own, is surely enough to give the man and his mythology one day out of the year for remembrance of how I started my half century on this wild lost highway. In August of 1977, I wrote Elvis’ cover story obituary for NME. I feel the same way as I did then. 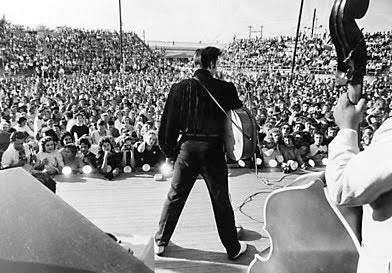 “I think, to be absolutely truthful, any grief for Elvis Presley has to be bound up with a grief for my own early youth. It's grief for that long vanished innocence, that virgin state in which it was possible to discover rock and roll for the very first time. Our pals Mother and Doctor at the Bangalore Film Society have sent this informative if idiocentric account by Alejandro Jodorowsky of his attempt to make Frank Herbert’s sci-fi classic Dune into a movie before the flawed David Lynch version. 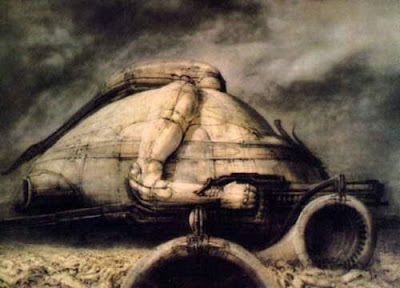 “After I found Giger, a Swiss painter whose catalogue Dalí had shown me... His art declining, sick, suicidal, brilliant, was perfect to carry out the Harkonnen planet... He made a project of castle and planet which really touched with the metaphysical horror. (later, he carried out the sets and the monster of Alien.) For the special effects, thanks to the capacity which Michel Seydoux gave me, I was able to refuse Douglas Trumbull... I was unable to swallow his vanity, his airs of business leader and his exorbitant prices. Like a good American, he played to scorn the project and tried to complex us while making us wait while speaking with us at the same time as with ten people on the telephone and finally by showing us superb machines which he tried to improve. Tired of all this comedy, I left to research a young talent. It is said to me that in L.A. it was like looking for a needle in a haystack. I saw in a modest festival of cinema by science fiction amateurs, a film made without means that I found marvelous: Dark Star. I contacted the boy who had made the special effects: Dan O' Bannon. I was almost with a wolf child. Completely out of conventional reality, O'Bannon was for me a real genius. He could not believe that I can entrust a project as significant as Dune to him. He was obliged to believe it when he received his plane ticket for Paris. I was not mistaken: Dan O'Bannon wrote later the scenario of Alien and a good number of other films with great success.” Click here for the whole story. Due to my getting sick, about five copies of Zone of Chaos have not gone out to the folks who mailed in for the them. Don’t worry. It’s being sorted. 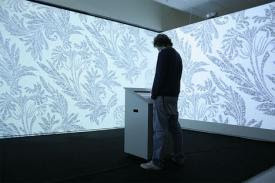 "Light-emitting wallpaper may begin to replace light bulbs from 2012, according to a government body that supports low-carbon technology. 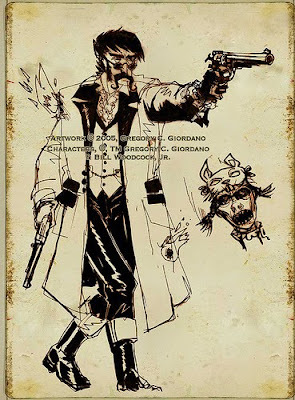 On December 19th I wrote “round here we run a kind of ad hoc Doc Holliday Fan Club” and our pal David TA took me at my word and sent the following – “Perhaps you'll enjoy the artwork of my pal Greg Giordano, whose working on a Doc Holliday comic.” Click here. 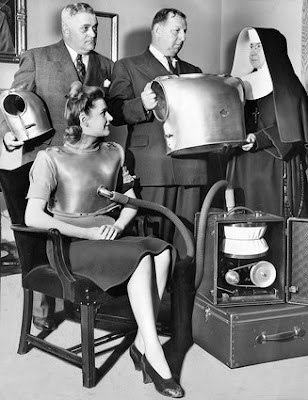 Without the knowledge of Junie and Joanie, Sister Lubyanka Frozdick had developed personal armor against the Radium Gun. Superman may still be able to jump them in a single bound, but our pal Aeswiren – in honor of today’s opening of the Burj Dubai – has sent us this story about how they may be harbingers of economic disaster. “Andrew Lawrence proposed the Skyscraper Index in the aftermath of the 1998 Asian Contagion. His theory says that the world's tallest buildings have risen on the eve of economic downturns. That is, countries that put up the world's tallest buildings enter an economic downturn shortly thereafter. There is a lot of evidence to back him up: 1907 panic in the U.S. was marked by the Singer Building; the Great Depression followed the Empire State Building; the Asian currency crisis of 1998 — the Petronas Twin Towers. 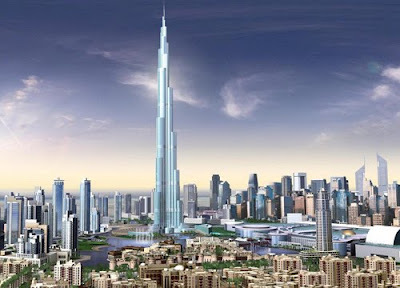 The world's tallest building at present is the Burj Dubai, which will officially open on January 4, 2010. As you know, real estate prices in Dubai have been cut in half and their biggest company, Dubai World, just defaulted on $50 billion. The next tallest building being built is The Shanghai Tower in China — expected to be 2,073 feet tall to be completed in 2014.” – From Energy And Capital Newsletter. WHAT HAPPENED TO THE BOSKOPS? A species of prehistoric super-intelligent hominids who, despite their superior brains, were unable to survive? HCB sent us this fascinating story. “The combination of a large cranium and immature face would look decidedly unusual to modern eyes, but not entirely unfamiliar. Such faces peer out from the covers of countless science fiction books and are often attached to “alien abductors” in movies. There’s just one thing we haven’t quite dared to mention. 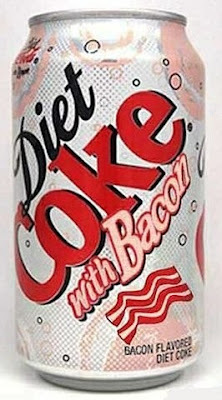 It’s this, and you won’t believe it. It’s all happened already. Back there in the past, ten thousand years ago. The man of the future, with the big brain, the small teeth. He lived in Africa. His brain was bigger than your brain. His face was straight and small, almost a child’s face.” Boskops, then, were much talked and written about, by many of the most prominent figures in the fields of paleontology and anthropology. Yet today, although Neanderthals and Homo erectus are widely known, Boskops are almost entirely forgotten. Some of our ancestors are clearly inferior to us, with smaller brains and apelike countenances. 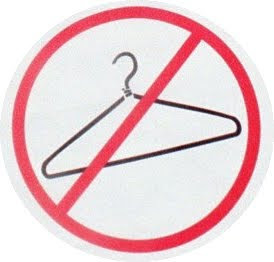 They’re easy to make fun of and easy to accept as our precursors. In contrast, the very fact of an ancient ancestor like Boskop, who appears un-apelike and in fact in most ways seems to have had characteristics superior to ours, was destined never to be popular. Each of us balances the world that is actually out there against our mind’s own internally constructed version of it. Maintaining this balance is one of life’s daily challenges. We occasionally act on our imagined view of the world, sometimes thoroughly startling those around us. (“Why are you yelling at me? I wasn’t angry with you—you only thought I was.”) Our big brains give us such powers of extrapolation that we may extrapolate straight out of reality, into worlds that are possible but that never actually happened. Boskop’s greater brains and extended internal representations may have made it easier for them to accurately predict and interpret the world, to match their internal representations with real external events." 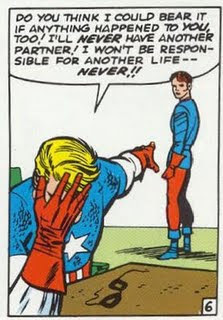 Cap and Bucky had a quite tempestuous relationship.